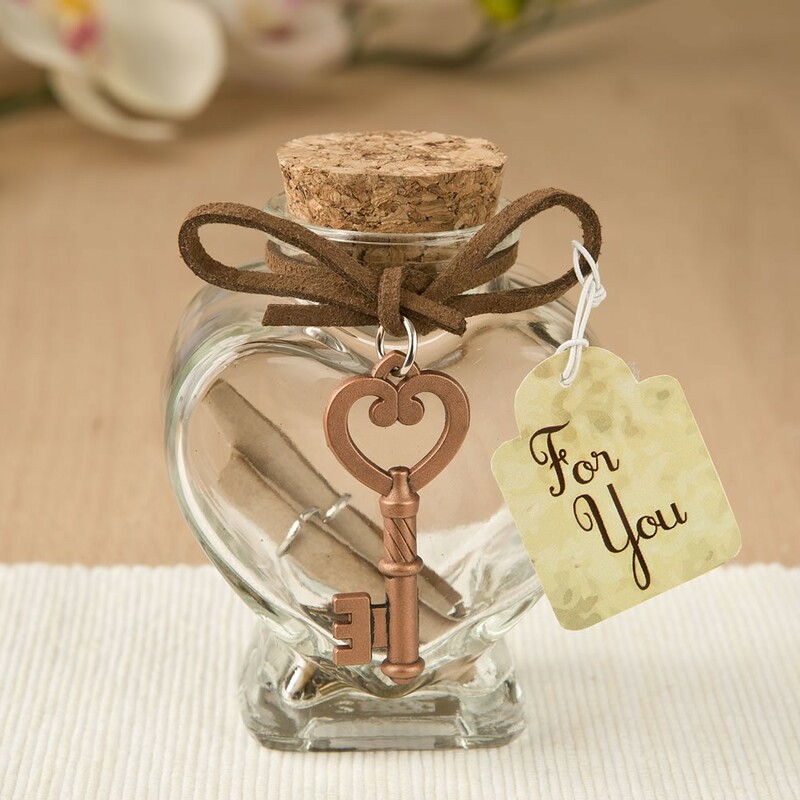 Charm your guests with a secret message written on a parchment scroll and placed inside a beautiful heart shaped clear glass jar. This is a sophisticated must-have favour for your next romantic celebration! 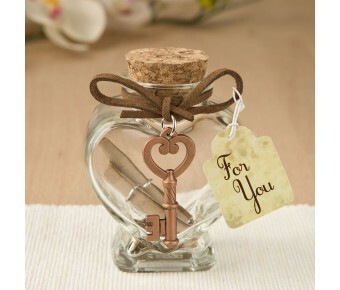 This classy favor features a clear glass jar in a lovely heart shape. Inside the jar are brass metal shaving accent pieces alongside two blank parchment scrolls. Write your personalized message onto the scrolls and seal inside the jar using the resealable cork top. Wrapped around the outside of the jar is a leather ribbon bow. Hanging off the ribbon is a copper metal skeleton key with a matching heart design top. The earthy colors and secret message scrolls make this heart jar a must-have favor that is sure to thrill your guests at your next romantic occasion! Size 3 1/4" x 2 3/8"
Write your thoughtful messages and store them in this lovely heart shaped jar, it makes a perfect favor for your next romantic celebration!